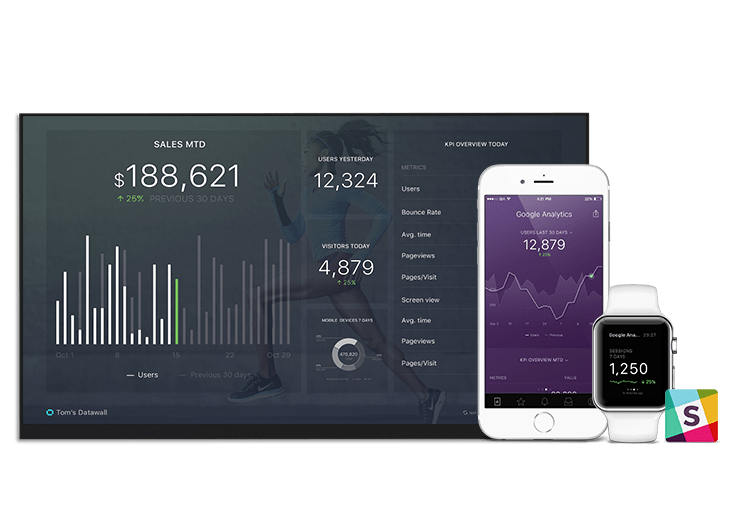 iTunes Connect dashboard template provides insights into your sales trends and download data for your organizations apps. If you don’t use iTunes Connect, we can pull data from 50+ cloud data sources. And you can push your own data too (API Docs). How engaged are your app users? iTunes Connect dashboard template provides you with sales, trend and download data for your organizations apps. The Google Play dashboard template will give you an overview of your app's ratings, installs and uninstalls, and clustered data about your app's reviews. Track important app store metrics like daily app units, sales, crashes, and split them by your mobile apps. Make sure to connect all your mobile apps and add them to this databoard. Get everyone focused on the metrics that matter. All your KPIs in one place to help you make better decisions, faster. Company Account I would like to use Databox to track performance of my Company, my team or myself. Agency Account I would like to use Databox to track and report performance of multiple clients in my marketing agency or consulting firm. What is your primary role/responsibility? What is your main objective for signing up?